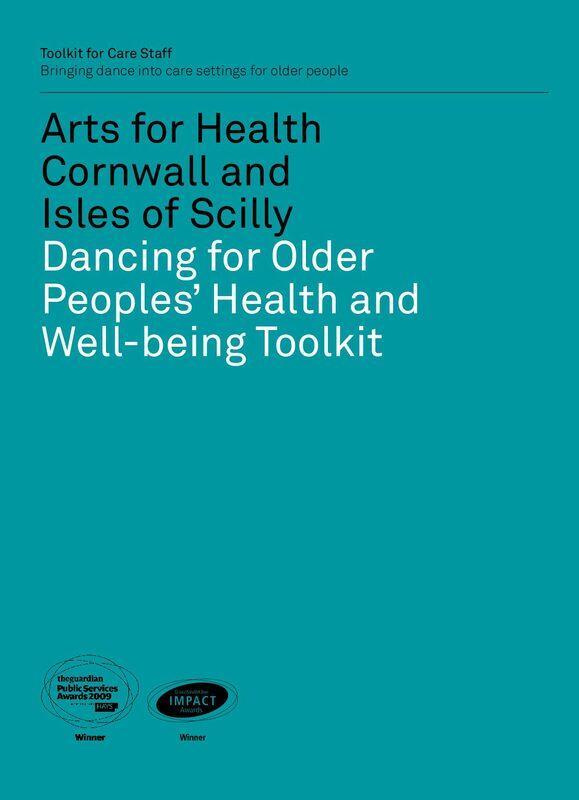 Developed from projects in care settings across Cornwall, this toolkit includes ideas, advice and inspiration to begin a dance session in ones own care setting. The appendices include different dance activities that are ‘tried and tested’ by dance practitioners. rts for Health Cornwall and Isles of Scilly. (2010). Dancing for older peoples’ health and well-being toolkit. Penryn: Arts for Health Cornwall and Isles of Scilly.